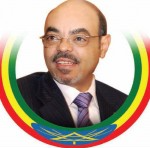 EthioAdvocate.com’s mission is dedicated to championing the cause of Ethiopia, to provide up to date and accurate information on the tremendous economic transformation that has gripped the country and is pulling its people out of poverty. Our goal is to help introduce the country, its beautiful people, its rich history and culture to the outside world. Ethiopia, a country endowed with natural splendor and beauty, has one of the richest histories in Africa. Ethiopia has no parallel in the annals of African history for the valor and bravery of its people, in defending their country against foreign aggression, time and time again, over the centuries. Ethiopia’s mighty and powerful kingdoms of centuries ago have left their indelible mark and have made the country a haven for tourism. Ethiopia's victories in the famous battle of Adwa in 1896 against a modern and powerful European aggressor, and its successes in defending and repelling Mussolini’s attempt to colonize the country in 1936, made Ethiopia a symbol of resistance and freedom for the struggle of independence of many African colonies and beyond. This same Ethiopia has brought excitement and wonder to millions of people all over the world who have watched the Olympics and distance running sports events for many decades. Many people have come to know Ethiopia through its Olympic stars and sports heroes: Abebe Bekila, Mammo Wolde, Muruts Yifter, Haile Gebreselassie, Dirartu Tulu, Kenenisa Bekel ... to mention only a few. Now Ethiopia has a new and democratic constitution, and a very hard working people that have pulled the country out of the depths of poverty the communist military dictatorship had plunged it into. The same valor and bravery of the people that kept the country independent for centuries, was able to topple its internal enemies and set the country on a new path of democracy and development, freedom and economic prosperity. The country has and is waging an all out war against poverty and has registered successes across the board, with yet a more ambitious economic transformation plan under way. Hydroelectric power projects have allowed the country to export electricty to neighbouring countriues. The Grand Ethiopian Renaissance Dam (ታላቁ የኢትዮጵያ ሕዳሴ ግድብ) will soon generate another 6,000 MW. We are fully behind the people and we have no doubts about the country achieving its mission and goals, given the Ethiopia’s hard working people, we have set this website to help promote and register those successes.